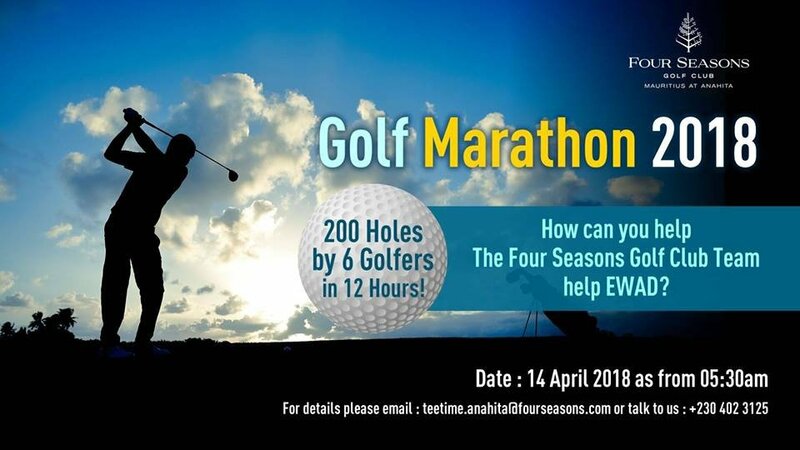 06 #Golfers will play 200 #Holes in 12 #Hours! Open Day for our #Mauritian Residents! At 18hrs on hole 18 our golfers, EWAD members and all invitees present are requested to be present at Hole 18 celebrate the victory of the day. Amount collected for the purpose of buying an Electric Wheelchair will be announced during the thanks giving ceremony.